Over the years, I have had some Disney vacations where I come home not feeling totally satisfied with how we spent our time or disappointed that I did not get to do something I really wanted to. Sometimes, I come home completely exhausted, as I did not take care of myself very well while I was supposed to be unwinding on vacation. Now, don’t get me wrong, any day that I can spend at Disney World is a great day, but some of my vacations just seem to be better. I have thought about what seems to make some of my vacations better, making me feel like I got the most for my time and money! Planning is crucial to any successful Disney vacation. This is not something just for the type A planners, like me, who need to plan every minute of the day even when not on vacation. The real reason is due to the sheer size of the Disney World Resort and amount of activities, special offerings and less well known events that occur on a daily basis. If you show up to Walt Disney World and decide to wing it, you will probably be very overwhelmed. For first timers or even if you have only been on property 5 times or less, I highly suggest ordering the free video Disney sends out to help you plan your vacation. While your game plan does not need to account for every minute of the day, having a solid plan of where you want to go, where you want to eat and a general idea of what rides, shows and parades (and times!) you would like to participate in will help you get the most out of your days on vacation! 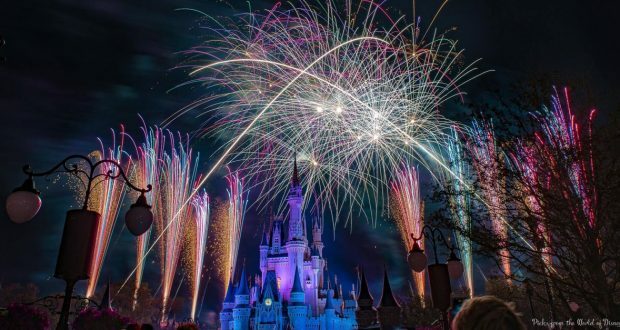 The good news is that you are reading our articles and are already relying on some Disney experts to help you get the most out of your vacation! Additionally, I think we all have one friend that is our Disney friend who can tell you anything and everything about Disney. Use them! Ask where they like to eat, where the best places are to stand during fireworks, what are the must do experiences they enjoy. They are often really great with money saving tips, packing advice and will usually reveal a Disney secret or two! Disney Cast Members are a very special type of people. Many of them are absolutely obsessed with the parks and magic and have an incredible amount of information to share. I have started talking to Cast Members every single time we are on vacation and ask them for inside tips and what they do when they are at the parks. Another reason to talk to a Cast Member is if your day is not as magical as you were hoping. If you are frustrated, upset or wishing your day was going better, they are usually able to help you. Now, demanding things and being rude will get you nowhere, I can assure you of that, but if you dropped your lunch all over yourself, feel sick, lost your cell phone, need a band aid, or just feel like having someone listen to you about a frustration, talk to a Cast Member. I highly suggest that you plan ahead what rides you want to go to and make sure you choose your fast pass+ selections ahead of time. If you love roller coasters and do not get to ride one due to crazy long lines, you will be upset when you are at the park and even when you go home! The same goes for dining reservations, especially if you have a large party or are traveling during the very busy times of year. Check out our dining reviews and pick out some great places! I promise that when you are starving, the last thing you want to hear is that the restaurant is fully booked. I have found that making the best of my Disney vacation includes taking good care of myself. I understand the families that want to open and close the parks every day that they are there, but it often leads to crabbiness and feeling very run down. We started building in pool breaks and even naps to make our time at Disney better. Believe it or not, taking time to rest and relax has added to our overall feeling of satisfaction and has made us feel like we got more out of our time there! Disney offers so many rides, shows, parades and recreational activities, there is going to be something that you really want to do. One way that you will get the most out of your vacation is making sure that you do what you want! If you love Splash Mountain, definitely find the time to fit it in. If you have been dying to try tonga toast at the Kona Café, get over there! If all you want to do is swim in your resort pool, make sure you do it! It may seem simple, but do what makes you happy! I always try to do something new on each Disney vacation. If you haven’t experienced one of the many holiday additions from November-January, try them! Make reservations for the Happily Ever After dessert party or book a spa treatment. Maybe look into the Memory Maker for outstanding family photos. Dine at the California Grill when fireworks are going off! Doing something extra special will always add a great feeling of happiness to your vacations! We all have plenty of time to worry and stress about the hardships of life. Give yourself permission to think about your bills, worries and strife when you go back home. Let yourself play, indulge in the happiness your family gives you and relax. All of the “life” you have to deal with will be there when you get back home, so let go and enjoy a little Hakuna Matata! Your vacation will feel more satisfying that way and you will surely get the most out of your time!